Christmas is such a special time of the year for families. Parents are looking for opportunities to make memories with their kids. Kids are excited about special Christmas events and festivities. It's one of the best opportunities you have to connect with families and influence them for Christ. Several years ago, we decided to do a Christmas event for families. It would be a family service (or show if you want to call it that) with a fun theme. We created an experience called "Who's This All About?" It was a one hour, fun, interactive, family-focused show that included Christmas songs, family games, a drama and more. 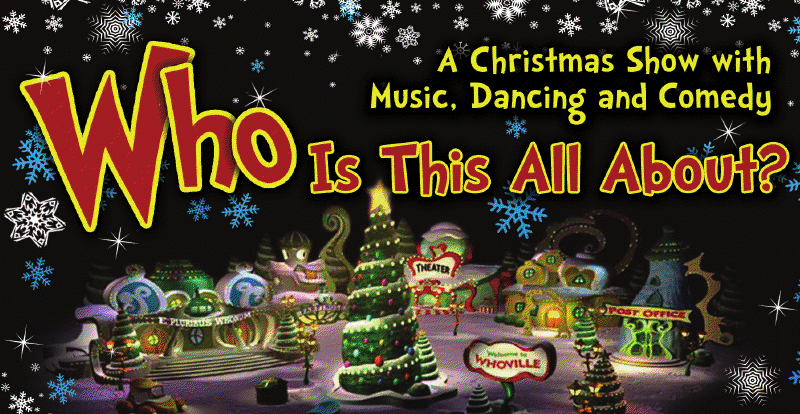 The play was based on the Grinch who stole Christmas. We took kids and their parents to "Whoville" where they watched as Cindy Lou Who and the Grinch discovered who Christmas is really all about. We also had booths set up with activities for families to do before and after the show. This included things like face painting, ornament decorating, making Christmas cards for soldiers, photo spots, bounce houses, etc. We served Christmas cookies and hot chocolate. Several weeks before the event, we gave the families in our church invite cards they could use to invite their neighbors, friends, co-workers, class mates, etc. It was a great way to invite people to come who otherwise would probably never walk in the doors of a church. Each child also received a wooden heart that tied into the theme of the show. They could decorate the hearts after the show at tables we had set up. It was a big success. Over 4,000 kids and parents came with hundreds of these being first-time guests. We saw many kids and parents come to Christ through this and become a part of our church family. Since then, we've shared this program witth hundreds of other churches across the country. Many churches have used it and reached kids and families through it. 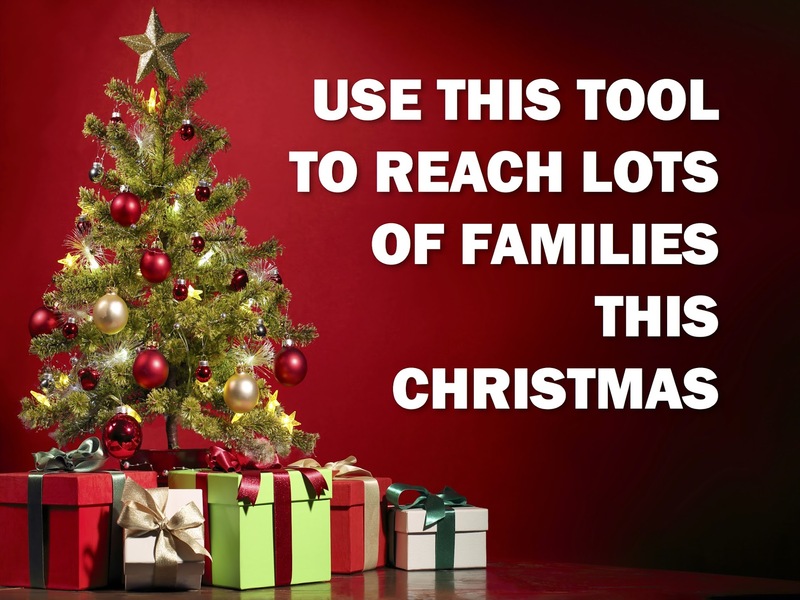 If you're looking for a way to impact kids and families this Christmas, then this program is a great tool for you. It includes the notes for the drama, ideas for family games, a funny puppet skit you can do in the service and a sample order of service. Christmas will be here before you know it. Now is the time to start planning and preparing. You can get the Christmas Family Experience materials as an instant download. It is available now at this link. You are surrounded by kids and families who don't know Who Christmas is really about. The greatest gift you can give them is to introduce them to the real meaning of Christmas. Hi Dale, when would be a good time to do this so as not to compete with our Christmas Eve experiences? Mid December? We did it the first week of December on either a Wed. or Friday night - Fri. night worked best for us - families were looking for something to do together.